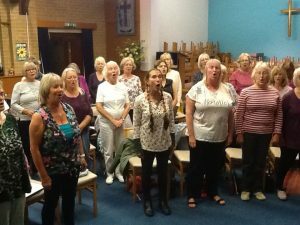 I just love coming to choir on Tuesdays and the singing makes us all feel good. 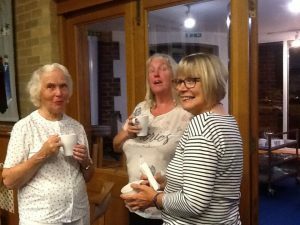 We also have a break where we stop for a natter and a cuppa. 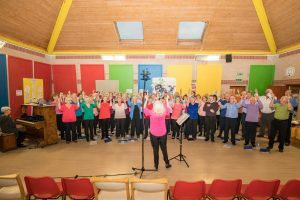 In our next concert we are singing a mix of classic pop songs and musicals. 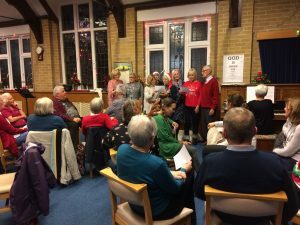 We always work from word sheets- you don’t have to read music or be a great singer to join us – it’s all about having fun! 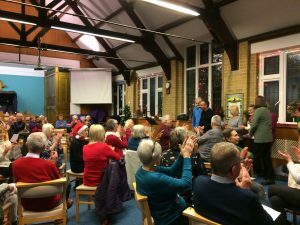 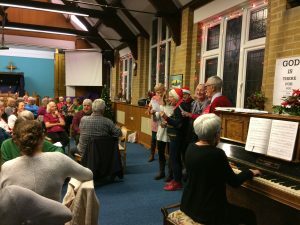 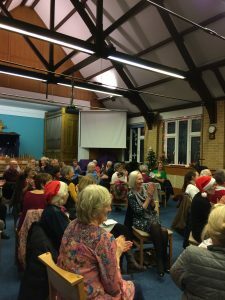 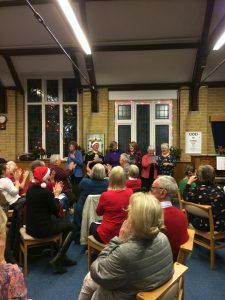 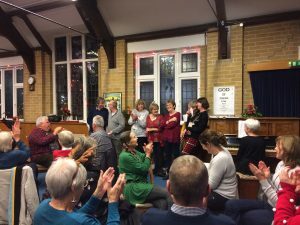 FCS enjoyed a fun filled Social evening in December, the culmination of some great singing in 2018! 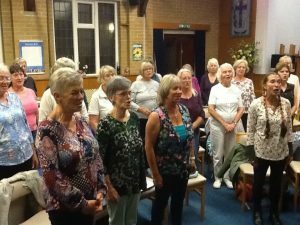 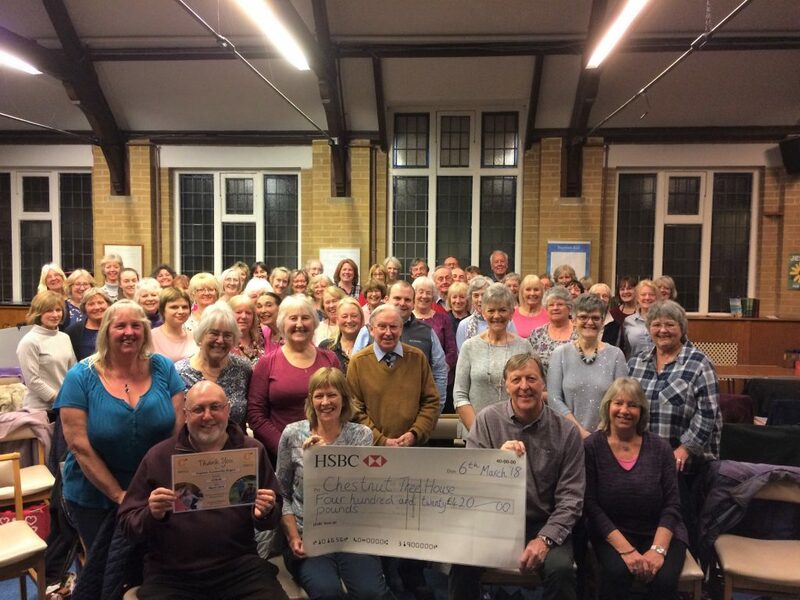 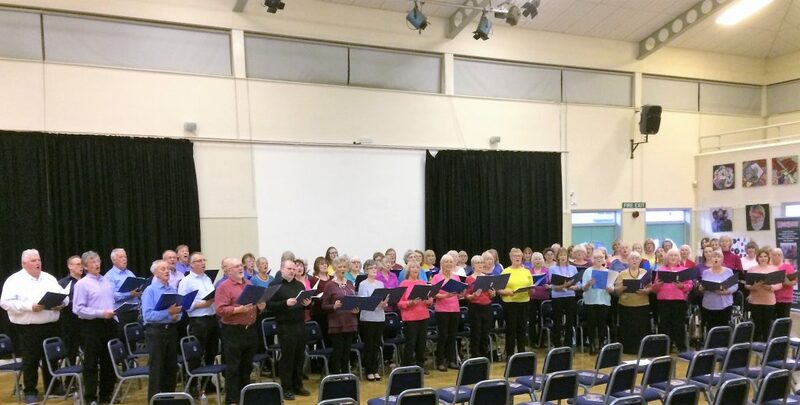 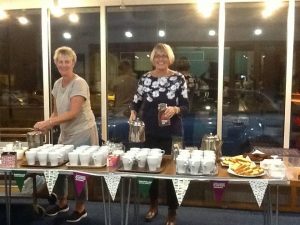 Thank you SO much to Felpham Community Singers who raised an amazing £175.13 at their ‘MacMillan Coffee Evening’ as part of their rehearsal on Tuesday 25th September. 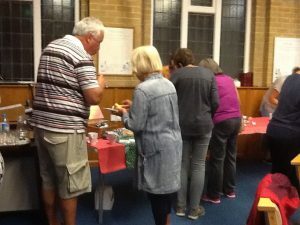 Thank you to all the members who baked lovely cakes, made tasty jams and chutneys, enjoyed eating cake with their tea/coffee and those who took part in ‘Guess the Weight of the Cake’. 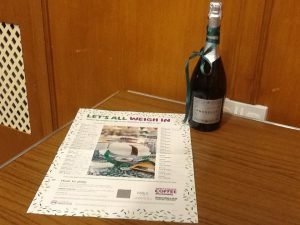 Congratulations to Melanie Leech for winning this! 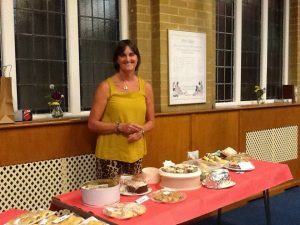 Thank you to our lovely helpers on the night and of course, to everyone who donated. 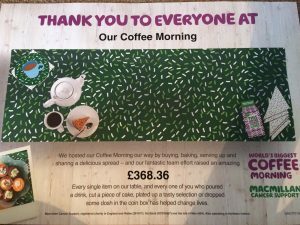 MusicSmart was able to send off a total of £368.36!!!!! 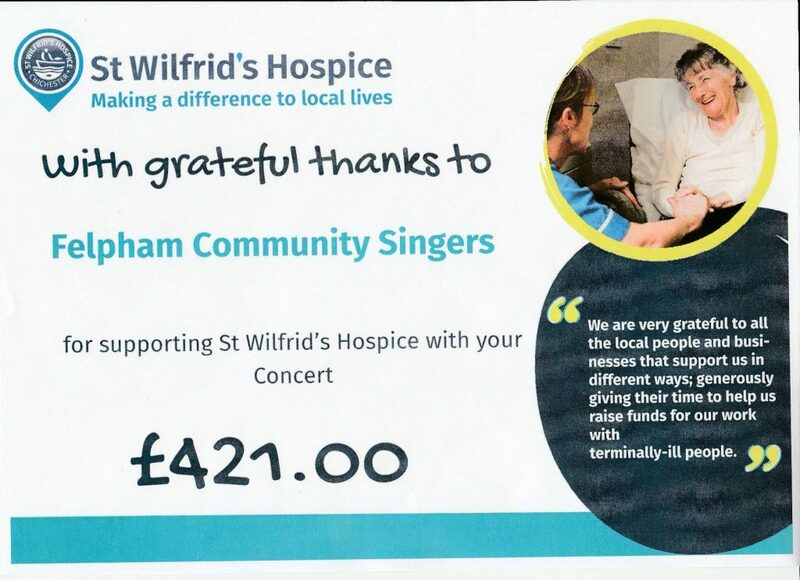 to such a brilliant charity.